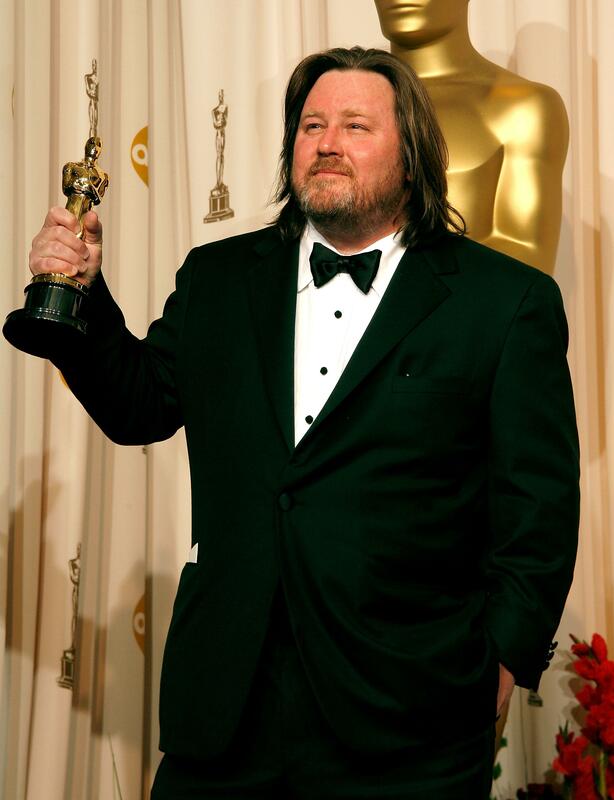 William Monahan at the Academy Awards in 2007. William Monahan is probably best known for writing The Departed, which he adapted for Martin Scorsese from the Hong Kong film Infernal Affairs. He is also the screenwriter behind Edge of Darkness, Body of Lies, and several other films. His debut as a director, London Boulevard, opens in the U.S. today. It stars Colin Farrell as an ex-con who is hired as the bodyguard for a reclusive actress (Keira Knightley) and ends up confronting a major London crime boss (Ray Winstone). For Brow Beat, Monahan selected some of his favorite British crime and suspense films from the 1960s and 1970s. This is not a list of the best British suspense or crime films, though some of them would naturally go on such a list. These are merely British films that affected me, and London Boulevard, sometimes materially, sometimes immaterially, for various reasons. If you’re looking for Mona Lisa, or The Long Good Friday, they aren’t here, because I’m listing films not for their general success as films, but for random, exemplary moments of literary adroitness, or ’60s and ’70s dazzle. At some point as you develop as an artist you start looking at only the good bits, and there are some very good bits in many films which haven’t come off for one reason or another. There are also very bad bits in films which are agreed to have, on the whole, come off as masterpieces: The Virgin Spring, done by Bergman in a producer-free environment, with no notes from distributors, sustains its tone and intentions more than most pictures—but it can do nothing about the pregnant brunette just being terrible in her part, or the revenge in the locked down hall looking exactly like a fight staged by a man who had never been in one, and the water gag—well, you won’t catch me saying anything about Bergman, but five more minutes fiddling with the hosepipe before framing up and turning over on the “miracle” would have done wonders for The Virgin Spring. This Bryan Forbes film was not appreciated at the time of its release and has remained in a disregarded condition, but it has (by way of Hitchcock, but bettering Hitchcock) the best burglary scenes in cinema history as Caine’s character breaks into a Madrid mansion while its occupants are attending the guitar concerto (conducted onscreen by John Barry himself) which provides the score. Caine, at the precise time that he looked like a “switched-on Leslie Howard,” dominates as only the ’60s Caine could, despite a script which cannot decide whether it is laboring towards Freudianism, or through it. The unusual casting of Eric Portman—or Nanette Newman, the director’s wife, who also ruined The Stepford Wives—and, as the love interest, the weirdly costumed Giovanna Ralli—who seems to be clicking her dentures throughout the film—diminished the interest of audiences at the time. Forbes handles all suspense visuals better than anyone has before or since, probably. The burglar’s initial “deadfall” from the Giotto’s circle of Portman’s flashlight is not only a great bit of cinema but as good as The Last of The Mohicans as an example of how you really do film with music. Blow-Up is an Italian film, of course, but atmospherically, it is the London film. Antonioni’s film about a crime that may not have actually occurred, or at least cannot be proven to have occurred, is a brilliant rethink of the Cortázar story “The Devil’s Drool” (“Las babas del diablo”), in which a photographer realizes, too late, that his photographic subject, a Parisian schoolboy, is the victim of a sexual predator, or—as the photograph comes alive—worse. Antonioni’s reset of the story to 1966 London, in a script Englished by Edward Bond, is elliptical and defiant of its own potential for very grave general popularity. The grain in the London roads has never looked more like bubbles in Technicolor. Vanessa Redgrave at one point smokes pot as if neither she nor Antonioni know what it is. Invaluable. The top shot of the Rolls Royce was lifted for London Boulevard, whose director lived in Pottery Lane and nearly personally wrecked the vintage 1965 Mulliner Park Ward Silver Cloud when he started off down the wrong side of the road as propmen screamed. London Boulevard homages Antonioni with both the Rolls Royce, and the grading done in the digital intermediate. Blow-Up mainly shows you what you get in West London, by way of light, in that Elysium of empty streets, when you simply turn on a camera. Caine again, in prime form as the amoral Jack Carter, going “up North” against the wishes of his employer to avenge the unaccountable death of his brother. The Newcastle settings are smoky and miserable. Nothing has ever been realer in film than Carter’s pubs, boarding house, the key on the grimy string hung back through the letter slot in the house where Jack’s brother lies dead. The opening (and credit) sequence on the train, with Caine dosing himself with pills, eye drops, and, after scraping his hair back, British Rail soup, arrives by way of Richard Lester’s use of handheld in A Hard Day’s Night. Get Carter had everything in place in order to avoid a general USA release: heroin, brutality, complete unintelligibility for a general American audience despite a redub. (A comment while gangsters watch what they would call porm [sic]: “Wots that. A pyfon?” is a redub). Carter, a long-acknowledged classic of the cinema, produced by Caine himself, suffered the usual fate of British masterpieces and appeared in limited release at the bottom of a double bill with Frank Sinatra’s Dirty Dingus Magee. Sic Transit Gloria—as someone once remarked in London Boulevard, before a cut was made, for the plain people of the Cineplex, of this, and other, esoterica. Who made The Ipcress File? In the commentary to a recent DVD, Sidney Furie can remember nothing (“Remember, Sid, we were outside the window in Whitehall on a window-washer’s scaffold,” etc. ), and Otto Heller, the cinematographer, is dead. Len Deighton was on set, teaching Caine to crack eggs, but then finally doing the hands himself in the close-up. Harry Palmer’s glasses, books, and cooking were deemed red flags of raving homosexuality by the studio at the time; but one young man in Massachusetts knew better, and still does. Whoever made The Ipcress File, whoever framed up, there’s still nothing to fault it. The “brainwash” box may seem a bit much in 2011 but view it as much of an artifact as a Hittite seal or a Victorian water closet: That’s what they had then. Featuring the great Guy Doleman and the even greater Nigel Green (not the great U.K. film distributor, but the great South African actor). Caine folds away his specs for a great fight on the steps of a library with a bald henchman of the scientist-stealer. The anti-Bond, and the start of a very cool and literate franchise based on the books by Len Deighton. David Hemmings again (with Caine, the other exemplar of useful cool), this time as an ex-junkie writer investigating the murder of his aunt, in a world where nothing, including the corpsed aunt, buzzing with flies at Pompeii, is even remotely what it seems to be. Brilliantly shot in a wetted-down London by Richard G. Sarafian. Fragment of Fear may well be—as Eliot suggested of Hamlet, to make trouble—unsuccessful as a work of art; but our whole point is that film is a matter of successful fragments, often surviving fragments, strung together well or less well, and this work has those genius fragments and signposts in profusion, from the bun-faced woman on the train, to the considerable discussion of a purulent leg, to a note threatening the investigator being proved, by a false policeman, to have been typed on his own typewriter. Gutted by a crap ending (the one in the book by John Bingham would have been better), and heartlessly vandalized by a screeching jazz score (our ears bled, in the screening room at Paramount, after I had the only surviving print lifted out of storage in a salt mine), it is still better, in every conceivable way, than many a more mannered example of consistency, which is the hobgoblin of not only little minds—anybody can do consistency—but which can in some cases be identified as the wholly malevolent gremlin that haunts every commercial film. Turn down the score on Fragment of Fear. Look at the shots. Turn up the sound only when David Hemmings speaks. Fragment of Fear may lack a material consistency, at the dreckish and democratic level of “making sense” (that is, to your granny, and her cat), but it’s more immaterial tonal consistencies are superb. I have nothing to say that I also did not say to Nic Roeg when I met him at BAFTA on his birthday: which is to say nothing, because I merely smiled and nodded at him as he smiled and nodded back: but watch it if you haven’t, and if you have watched it, watch it again, now.